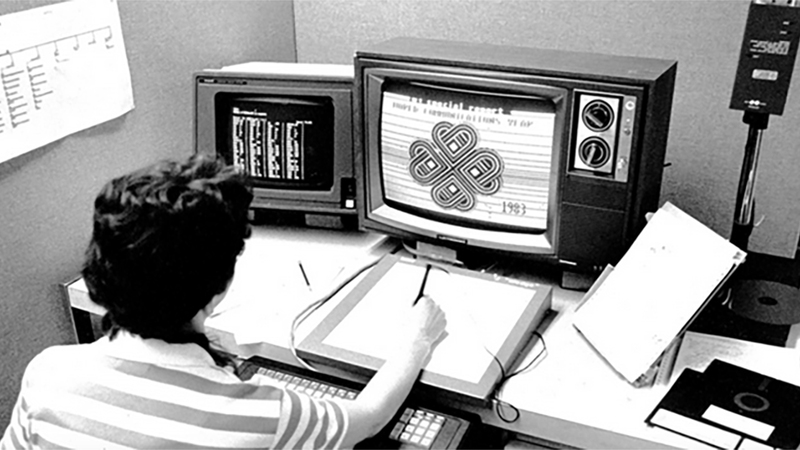 It was great to travel back in time to the early days of my career, fresh out of University, when a group of enterprising artist-nerds, lead by Bill Perry, formed TCV (Toronto Community Videotex) to explore TELIDON technology. Our mission was to explore TELIDON and to share our knowledge with the artistic community. This lead to some great projects for me, including working with Rogers Television establishing a Telidon graphics distribution system and with CBC “Project IRIS” designing and providing tech. support to the Teletext News Team. Thanks to Jordan Pearson of VICE Motherboard for delving back into Canada’s early internet history and telling the Telidon story. Read it here.